Use your personal login to access your homework and use the games to practise key mathematical skills. Sharpen your mental maths skills on this selection of learning games. You can practise over and over again as the questions change. Use this site to practise your multiplication and division facts. 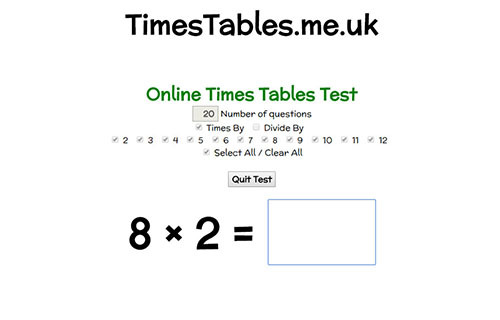 More fun with times tables practice!